Fall is the perfect season to roll up our sleeves and perform a few of those farm fix-its we’ve been putting off all summer. The days are cool and crisp, making it comfortable to work outside. Materials are generally easier to work with, too –no cold winter temps and no heat and humidity. In the following article we offer 5-farm fix-it projects that offer a big return without breaking the bank. 1. Fix your gate problems. •The gate isn’t wide enough for the traffic flow. Turn-outs require a 6’ to 8’ foot gate for safe horse handling. If you also need to drive farm equipment through the gate, you might need a 10’ to 12’ width, but keep in mind that the wider the gate, the trickier it will be to close with a horse in hand. •Choose an agricultural grade horse gate with a heavy gauge steel. •Sometimes, just upgrading the gate latches can make life easier and safer. Heavy duty one-way or two-way gate latches can be operated with one hand. Gate anchors allow for easy pass-throughs and gate wheels work well on uneven areas, keeping the gate from gouging the ground. 2. Fix your fence post problems. Fence posts are the backbone of your fence and can make or break the entire line. Replace or shore up split posts. •Choose hardwood posts like oak, red pine or yellow pine, depending on what is available in your area of the country. •Buy pressure-treated posts that boast a .25 retention level or higher. The retention level reflects their life expectancy so a .25 retention equates to a life expectancy of 25 years. •If possible sink your posts with a post-hole driver instead of digging holes. Driving posts into the ground requires specialized hydraulic equipment or a contractor, but the process saves time and the posts go in straight and true with no tamping required. •All gate posts should be sunk in concrete for stability. •Set posts no more than 8 ‘ apart for wood fencing and 10-12 feet for high tensile, mesh, and electric fencing. If your area is windy, decrease that distance. 3.Replace that sticky sliding stall hardware. Replace worn out sliding stall door tracks with premium track and hanging hardware. Doors that don’t slide easily are dangerous when handling horses. •Choose galvanized steel to help prevent rust and corrosion. •Smooth operation for ease of letting horses in and out of stalls for feeding, turnout, grooming, and tacking up. •Buy in a complete kit for ease of installation. 4. 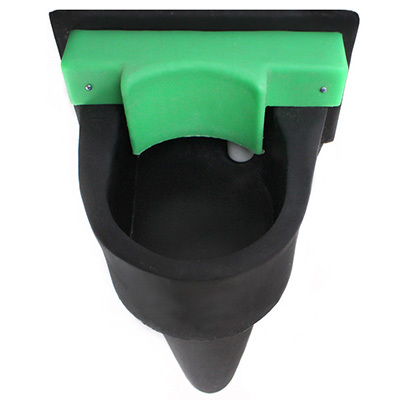 Install automatic stall waterers or insulated bucket holders. Your horse needs to drink 8-12 gallons of water per day to remain hydrated. Even small imbalances can lead to dehydration and colic. Freshwater offered at room or an ambient temperature is the best way to keep your horse hydrated. •Automatic stall waterers with an electric heat option that mount on stall walls are a convenient and safe way to offer your horse water all season long even when the temperatures dip below freezing. •Choose units with removable drain plugs for easy cleaning and automatic fill valves to ensure fresh water at all times. •Heavy duty polyethylene with rounded edges eliminate the risk of injury. 5. Fix your mud problems. A frisky horse, a gate, and boot-sucking mud is a recipe for disaster, but mud is more than just a nuisance. Bacteria, parasites, and fungi all love to make their home in mud and that can make your horse sick. 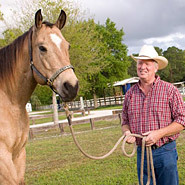 Typically, horse owners combat mud with layers of hog fuel, pea gravel, or excavation. Keep in mind that those fixes are temporary. There is a better way; the Lighthoof Mud Management Panel is a lightweight, flexible plastic panel that conforms to any kind of terrain, including sloped areas, in and around turnout gates, or any high traffic areas. •These lightweight, flexible plastic panels conform to all terrain and are easy to install with no excavation required. •Lighthoof is constructed of flexible high-density polyethylene plastic so it’s incredibly durable. 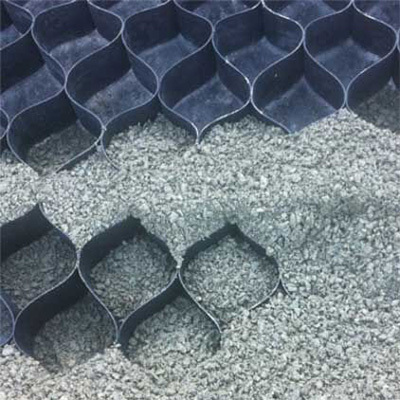 •Each panel measures 6’ x 12’ and has a series of 3” deep interconnecting cells to contain gravel. A final fall project that is so easy to do is to decorate with straw bales and pumpkins. Try spray painting a few horse shoes with orange glitter paint and string them together as stall or door decorations. Holiday pumpkin lights are a fun addition as well, providing they are UL rated for outdoor use. Just be sure to keep all decorations out of the reach of your most curious horse! At RAMM we believe in offering our customers both choice and quality. Browse our catalogue at rammfence.com, follow us on FB, or visit our new Ramm Fenceing and Stalls Pinterest page! As always, our staff is ready to answer all of your farm improvement questions at (800) 434-8456.